He is a great guitarist and, more importantly, a real musician. He thinks and listens on a higher level than the six strings of his instrument, and his play reflects this musical freedom, Hopkinson Smith. 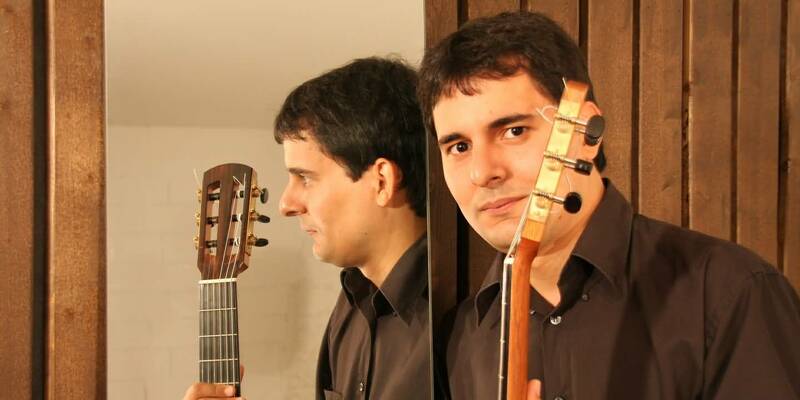 He completed his studies as a classical guitarist in Venezuela and in Europe (Spain and Germany). With teachers José Gregorio Guanchez, José Luis Rodrigo Bravo and Joaquin Clerch. At the tender age of fifteen, he performed at the "Concierto de Aranjuez" by J. Rodrigo with the orchestra "Vicente Emilio Sojo." It didn't take long until he developed into an internationally sought after artist performing at numerous festivals as solo artist and with a chamber music orchestra. These include the Niederrhein Musikfestival (Deutschland), Festival Iberoamericano de la Guitarra (Jordan, Egypt, Lebanon), Festival International de Guitarra Antonio Lauro (Venezuela), Festival Internacional de Guitarra Bolivar Hall (London ), International festival "Viva la guitarra" in Düsseldorf (Germany). Among others, he played concerts in large venues such as the Teresa Carreno Caracas Theatre (Venezuela), Tonhalle Düsseldorf (Germany), Casa de Cultura y Teatro, Benicassim Valencia (Spain); Auditorio Nacional, Madrid (Spain), Auditorio Nacional Mohammed V Rabat (Morocco); Teatro Municipal, Vina del Mar (Chile); Palace of the UNESCO Beirut (Lebanon), Gomhuria del Cairo theater, Kairo (Egypt), Cultural Center Al-Hussein, Ras AL-Ain, Amman (Jordan), Bolivar Hall London (UK). Nirse Gonzalez won numerous renowned awards. In 1996, he won first prize at the "Concurso Nacional de Guitarra Antonio Laouro" where he didn't just get a special mention but also a special prize from Yamaha. In the same year, he was awarded first prize at the "Concurso Nacional de Guitarra Raúl Borges", and received a special prize for the best interpretation of a piece of music by Raúl Borges. Theron, he received the invitation to perform a Solorecital at the "IX Encuentro Internacional de Guitarra Raúl Borges 1997", alongside many other renowned guitarists. A third place at the "Concurso Internacional de Guitarra Alirio Diaz 1998" and a second place at the "Concurso Joven Solista" and a third place at the "Concurso Internacional de Guitarra Julian Arcas" in Almería in 2005 were to follow. In 2006, he even won one of the most important guitar competitions: the "XL Certamen Internacional de Guitarra Francisco Tarrega" in Benicassim/Spain. In August 2007, he released his first album with classical pieces for solo guitar via the laureate series by Naxos. Critics in particular praise his interpretation of the sonata by A. José and J.S. Bach. His second CD Classica Venezolana was published by the renowned German classical music label Dabringhaus und Grimm. His new CD Guitar Music of Venezuela was released by the NAXOS company on February 9, 2018 and is highly praised by critics.